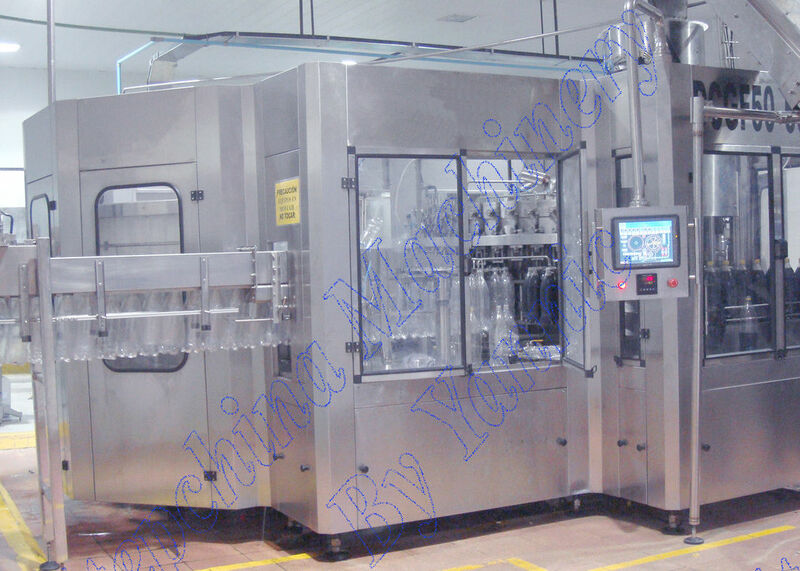 The Carbonated drink bottling Machine is mainly used for fill cola, soda water drink. It combines rinsing and filling and capping as one automatic body suitable for PET or other plastic bottles. The iso-pressure (iso-barometric) filling technology is adopted enabling it to fill more efficiently and more stably with more output than the machine of the same level from others. Using photo-electronic detectors to detect the running of every important sub-process, it employs PLC from Mitsubishi for automatic control of the whole process and new type air-channel for bottle-loading featuring speediness and damage-free of bottle. 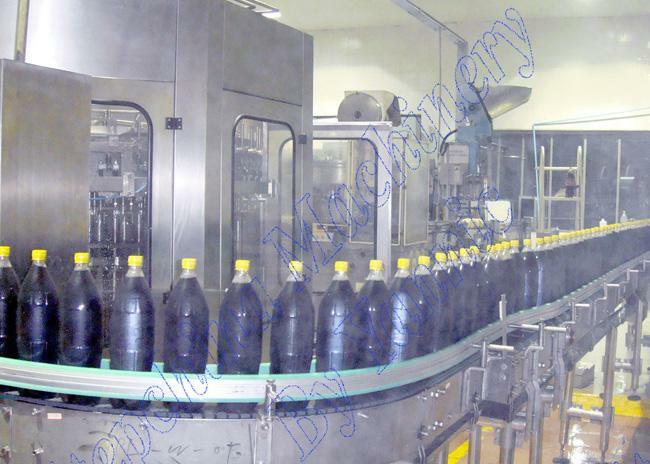 The handing-over of bottles between two linking structures is fulfilled by applying clamping-bottle-neck method. For bottle of different shape only a few parts need to be changed and the substituting is simple, which shows the machine is of good adaptability. 2. you are always welcome to come to visit our factory, and you may see the operation of the machines here . We will make the arrangement to pick you up when you come . 3. If we get the permission of the customer who has brought the machines from us ,we can tell you their contact information, you can go to visit their factory. 1. we can design the machines according your requirements(material ,power,filling type,the kinds of the bottles, and so on). 2. when you finish the Preparation conditions ,our engineer will go to your factory for the installation, testing and also training . A: Yes, we can provide the complete plant, from bottle blowing machine, water purification plant, to filling packing plant. A: Our factory make the water purification and filling packing plants. We do not make the bottle blowing machinery, we have good quality bottle blowing machinery partner, and we provide to customer same long warranty time and good after service. A: Frist, we will invite you visiting our factory to check the quality, and introduce our technology advantages. You will be easy to compare ours equipment with others. 4) What certificates you can provide? 5) Can your factory make the bottle drawing, workshop layout, and labels for us? A: We can help customers design their own bottle shape, workshop layout and label drawings, these jobs are free charge.